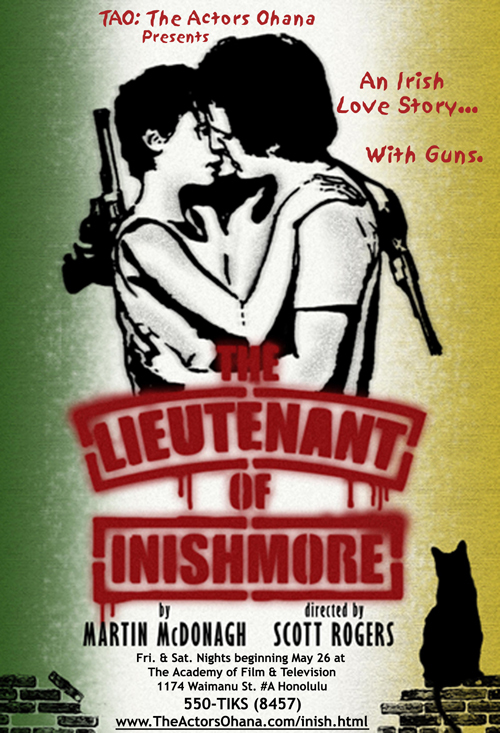 Written by Academy Award winner Martin McDonagh (Pillowman), and directed by Po’okela Award winning director Scott Rogers, the Lieutenant of Inishmore is a surprisingly funny yet dark comedy that was nominated for five Tony Awards. Set on a lonely island, this most surprising new work chronicles the shockingly funny events that come to pass when someone kills Wee Thomas, the beloved cat of an Irish Liberation Army enforcer. It is a wickedly hysterical blood bath of a play that builds to a stunning surprise that leaves audiences laughing in disbelief. DON’T GIVE AWAY THE ENDING… OR ELSE!!! Blade Rogers (Davey) had a leading role in the 2004 indie film “Paradise Dreams” which played the Hawaii International Film Festival among others and he just finished shooting his guest staring role of Ian in the new TV series “Flight 29 Down” for NBC/Discovery Channel and was asked back to recreate his character for the “Flight 29 Down ” Movie-of the-Week. He also enjoys more challenging roles like playing Mercutio in Shakespeare’s “Romeo & Juliet”, recently in Honolulu. He writes, directs and edits his own films which is beginning to make him known on the festival circuit and has placed in the last two “Showdown in Chinatown” film festivals he entered (against a slew of adults). 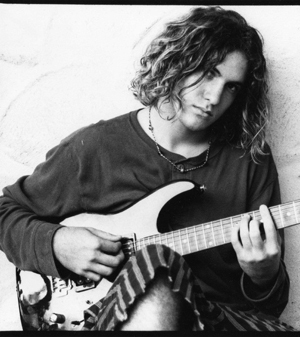 Blade taught himself to play the guitar at age 11 and now plays guitar and sings in local rock bands. He’s won Gold and Silver Medals in State Wide Jiu-jitsu Tournaments and trained with World Renowned Jiu-jitsu Master Relson Gracie. 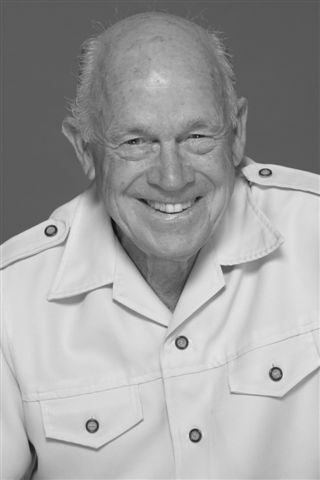 Buck Ashford (Donny) was most recently seen as “Emperor Norton” in the Lanikai Mortgage Players 2006 production of “Black Bart”. Prior to that, in 2006, he appeared as Owen Musser, the bigot, in “The Foreigner”, at Manoa Valley Theatre, and in 2005, as “Louie”, the hit man, in Manoa Valley’s “Flaming Idiots”, for which he won a Po’okela Award as a featured male. He is a graduate of the U. S. Naval Academy, and the University of California Law School at Berkeley, California. He has practiced civil trial law in Honolulu since 1964. 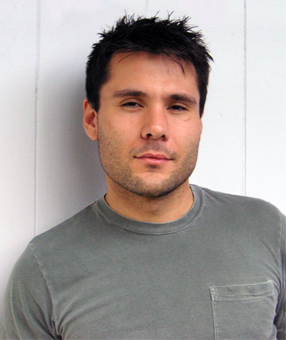 Shane Thomas (Padraic) was born in Springfield, Vermont. At the age of 12, moved to Washington State where he resided most of his life. He then relocated to Hawaii five years ago. As a child, Steven Spielberg’s “ET” was the first movie he ever remembered watching, following Bruce Lee’s “Enter the Dragon”, after that, he was hooked. Experiencing great actors such as Pacino, and Brando, kept him captivated. Films had always played a crucial part in his life and ultimately had led him into acting. 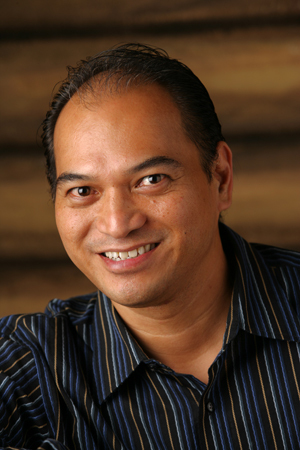 Jim Aina (James) has been in two productions at the Manoa Valley Theatre. In 2004 he played a variety of characters in “The Laramie Project”, & in 2006 he played Froggy Leseur in “The Foreigner”. 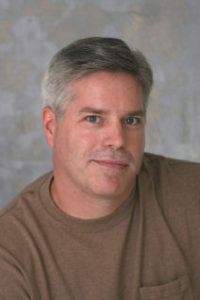 Jim has been taking acting classes with Scott Rogers at the American Academy of TV & Film since June of 2006. He recently joined the ADR Agency. 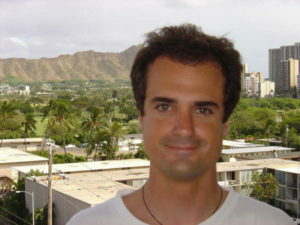 Jim is employed at Hawaiian Airlines & is also a Freelance Interpreter for the Deaf. He definitely feels it an honor to be in TAO’s production of “The Lieutenant of Inishmore”. Tabitha Jade (Mairead) spent most of her life bouncing around California. She has moved around so much, in fact, that she doesn’t know exactly where to call home. She says the only thing that matters to her is where she is and where she is going. 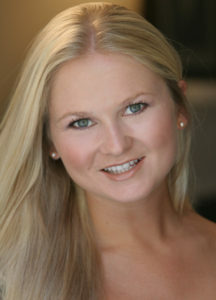 She is studying business and psychology alongside her many passions, including dance, music, and acting. 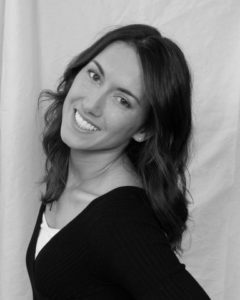 Tabitha Jade studies Hip-Hop, Belly, and Ballroom dance – focusing on Latin and Swing. Most recently, she has been spending a lot of time recording her new album, Hush the World, which features her singing, songwriting, and acoustic guitar. She studies acting with Scott Rogers at the Academy of Film & Television, and she will be performing the role of Mairead in The Lieutenant of Inishmore. Tabitha Jade is on a journey of health, wellness, spirituality, adventure, and creative expression. Through this journey, she hopes to leave a distinct and refreshing signature on her generation and beyond. 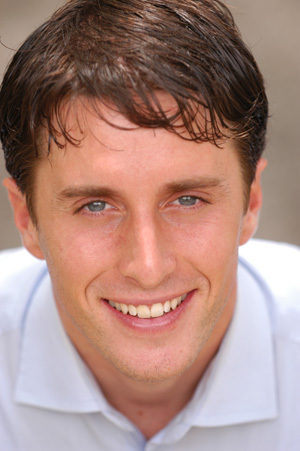 Jesse Smith (Joey, Padraic understudy) is passionate in acting as he his in life. Creating the role of Joey has led him on a journey into a more compassionate self. He would like to thank Scott Rogers, the Academy of Film and Television, and the Actors Ohana for the opportunity. Jesse will be attending law school at UH Manoa in the fall, but plans to continue on in the pursuit of his craft. Steven Neumeier (Brendan) Steven Neumeier has been living in Hawaii for the past twelve years and origionally moved here to surf. 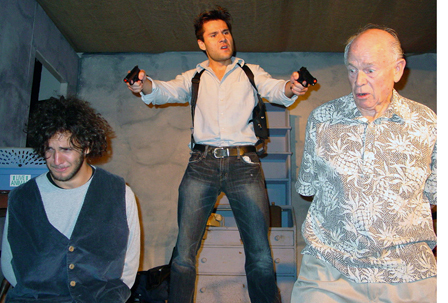 His passion for acting was rekindled about three years ago when he was cast in The Underpants at Manoa Valley Theatre. Steve has done extra work for various films and television shows in Hawaii, New York and New Jersey. He has also acted in several local commercials. Working at KITV-4 is Steve’s primary source of income, but also freelances an an audio/visual technician. As much as he loves the lifestyle that Hawaii provides, he dreams of doing something different such as possibly teaching English in Japan or moving to Los Angeles to act. Sailor (Wee Thomas) is making his theatrical debut (and his farewell performance) in this production. He was born on the streets of South Beach Miami in 1991. Perhaps that is why he always possessed such a unique combination of street smarts and style. 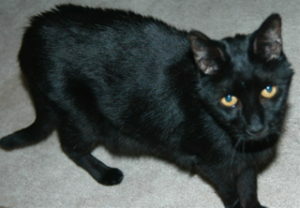 Sailor began modeling as a kitten, after he adopted a young female human model in need of companionship. He has appeared in many high fashion photo shoots and is known to outshine any humans who would share the spotlight. An astute trainer of humans, Sailor trained his human to walk on a leash and to take him to trendy outdoor cafes where he would convince those sitting nearby to order the fish of the day and give him a taste. Those who have known Sailor consider him to be a natural in all fields that require grace, charm, and good looks, and has been called the feline Sidney Poitier. In making his recent transition to acting, Sailor credits reading the mind of acting coach Scott Rogers at the Academy of Film and Television to develop his craft. Karen Archibald, (Set Design) Karen grew up in Chicago and moved to Hawaii (via San Francisco) in 1979. While getting a degree in Music Performance from the University of Hawaii she was introduced to the theatre when she was asked to compose and perform music for a Master’s production. Beginning in the early 80’s she worked in the industrial theatre and special events field. 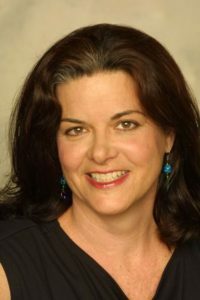 Apprenticing with Tempe Denzer (Artist, and former Hawaii Opera Theatre scenic) she began scene painting in the 90’s and attended summer training at Cobalt Studios in White Lake, New York. In the mid nineties she fell into designing sets for a small Windward Oahu theatre, and has continued to grow and refine her design and painting abilities through work in local television, commercials and theatre. For the last seven years she has been building, designing and painting sets for Manoa Valley Theatre, Hawaii Pacific University Theatre and others, as well as freelancing in prop making and scenic work in TV and movies. Alia Rhiana Eckerman (Producer) was champion equestrian during her youth and grew up traveling a lot. She has spent most of her life between California, Hawaii and Texas. Although her family is music based, her father road manager to Peter Frampton and former COO at Pace Concerts, SFX and Clear Channel Communications, Alia followed her passion for acting instead. After attending the University of Hawaii, Alia headed back to LA where she studied acting at The Howard Fine Studio and The Lesley Kahn Studio. Unable to give up Hawaii, Alia now lives between LA and Honolulu, where she studies with Scott Rogers at The Academy of Film and Television. Most recently, Alia can been seen on “Gilmore Girls” for The CW Network and “Beyond the Break” for The N Network. She was cast as the lead in the indie feature “Vapor Trails” scheduled to begin filming September 2007. She is currently a member of both AFTRA and Screen Actors Guild. 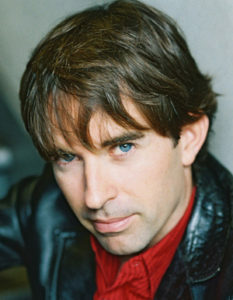 Scott Rogers (Director) was the full time, on-set Acting Coach for the hit TV show “Baywatch” and the Fox series “North Shore” where he put in over 3000 hours working on set. 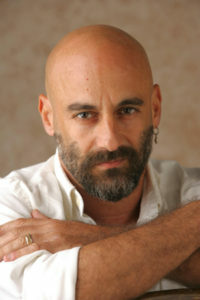 He currently teaches acting at the Academy of Film & Television. He’s produced and/or directed more than 100 professional productions and written, directed, and produced dozens of TV commercials. His students appear on TV, Film, & Broadway, daily. After studying Directing in college, Scott began traveling the country working as a Production Stage Manager. After stage managing seventy or so Equity shows, Scott began directing original plays in small theatres around Hollywood, including two for Jerome Lawrence (Author of “Mame” and “Inherit the Wind”). He has gone on to direct many shows around the country including; the Los Angeles Premiere of A PRELUDE TO A KISS; LES LIAISONS DANGEREUES starring Donna Mills; Nanette Fabray in the West Coast Premiere of THE CEMETERY CLUB, and Jayne Meadows in the highly acclaimed production of Neil Simons’ LOST IN YONKERS. Other productions include: LOVE LETTERS with Steve Allen & Jayne Meadows; LITTLE SHOP OF HORRORS, w/Richard Kline; CHARLEY’S AUNT, w/Charles Grodin, Efrem Zimbalist, Jr. & Vincent Gardenia; PERFECTLY FRANK, w/Cloris Leachman; THE BOYS NEXT DOOR, w/ Tony Orlando; OTHELLO, starring Ted Lange (of T.V.s “The Love Boat”); KING LEAR at the Powerhouse theatre in Santa Monica ; JAKES WOMEN w/Nicholas Pryor & Lauren Tewes; HARVEY, w/ John Astin; OTHER PEOPLES MONEY, w/ Merideth MacRae; DRIVING MISS DAISY, w/ Jane Wyatt & Ted Lange; BORN YESTERDAY, w/ Claude Akins & Priscilla Barnes ; BRIGHTON BEACH MEMOIRS, w/ Vic Tayback; I’M NOT RAPAPORT, w/Arte Johnson; ALONE TOGETHER, w/Florence Henderson & Robert Reed; STRANGE SNOW, w/ Adrienne Barbeau; TIME OF THE CUCKOO, w/ Marion Ross; WALLY’S CAFE, w/Donald O’Connor; SABRINA FAIR, w/Martin Millner; THE ODD COUPLE, w/Lee Meriwether; and quite a few others. Concerts include: Tony Bennett, Jim Nabors, Florence Henderson, Tom Petty and the Heartbreakers, Magician Harry Blackstone, Jr. and many others. Because he has auditioned more than15,000 actors for various projects, Scott spends much of his spare time coaching actors on and off set and for auditions for stage, film and television. He was elected to three terms on the Board of Governors for THEATRE LA., the league of professional theatres and producers in Los Angeles and currently sits on the board of directors for the Hawaii branch of The Screen Actors Guild. He is a longtime member of SAG, AFTRA, and Actors Equity Association. Scott is most grateful to his wife of 18 years, actress Jeanne Bardwell, their son Blade Devin (Davey) and daughter Kanani Rose for putting up with and supporting him for so long. Rolf Burton (Davey) Rolf is a graduate of the University of California, Davis where he studied under Gary Snyder in the prestigious “Nature and Culture” program for the exploration of connections between humans and the natural world. He also excelled as an NCAA Track and Cross Country runner at U.C. Davis. After college Rolf worked in an organic chemistry lab testing soil and water in both California and Hawaii. Currently Rolf works as a SAG actor on ABC’s LOST.